Behind The Thrills | Could Fun Spot be the spot for Florida’s first White Castle? Could Fun Spot be the spot for Florida’s first White Castle? As a fat guy, I love some little cheeseburgers. There’s nothing like a sack of sliders to satisfy an appetite, unfortunately there’s no place in Florida to get those authentic White Castle burgers. That may change, as the Cravemobile has hit Fun Spot in Orlando, and Central Florida is eating them like they’re going out of style. Could this lead to a permanent location in Central Florida? White Castle is a staple of the fast food kingdom that has been replicated by several chains, and individual restaurants. The “slider” has gone mainstream, gourmet and even boutique, with upscale restaurants serving them in various forms, and even fast food restaurants doing their own variations. As good as they all are, it’s still nothing compared to the original White Castle Slider. It’s completely bad for you, as all fast food is, but it’s so delicious that you can’t help but get excited for it. Still, the closest thing Central Florida has is Krystal. While Krystal burgers are great, they just aren’t the same. 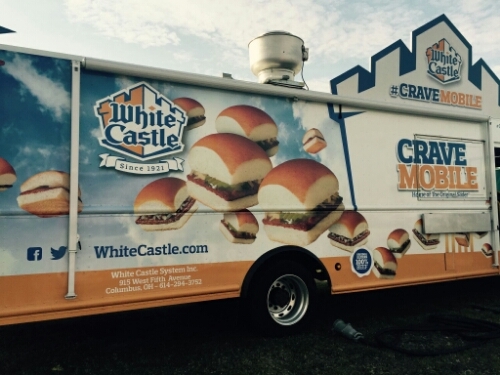 Over the next weekend the White Castle Crave Mobile will be camped out at Fun Spot America, and Fun Spot in Kissimmee. They have a good sized menu, with tons of favorites like sliders and chicken rings. The fans have also come out in full support, with lines reaching up to two hours on Thursday for the first full day of operation. Too bad it’s just for a day, right? 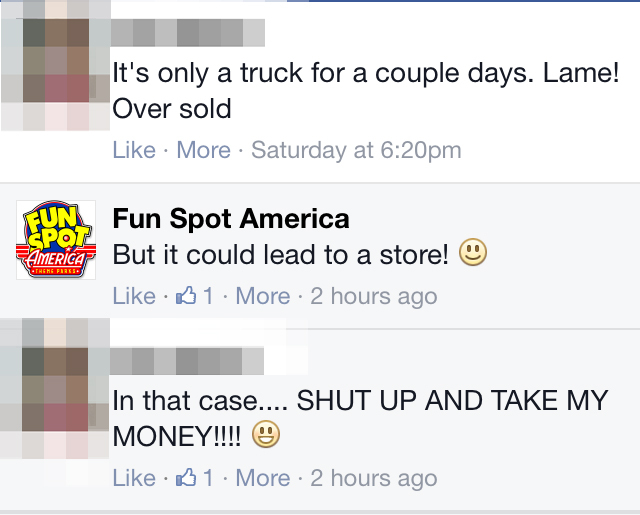 According to the official Fun Spot America Facebook page, it could possibly lead to a permanent store. Yes, we are completely reading a lot into this, but could Fun Spot and White Castle be on the verge of a great, and glorious partnership? Or even better, could White Castle be testing the market to see how crazy Central Florida goes for their delicious little burgers? Anything is possible, and Fun Spot is known for making some pretty crazy decisions. Things like Gator Spot will see Fun Spot and Gatorland merge together for a huge new attraction. Then there was the Snow Spot this past Christmas, which saw huge piles of snow in 70 degree weather. Fun Spot is just crazy enough to build a permanent White Castle on property, or just slightly off. 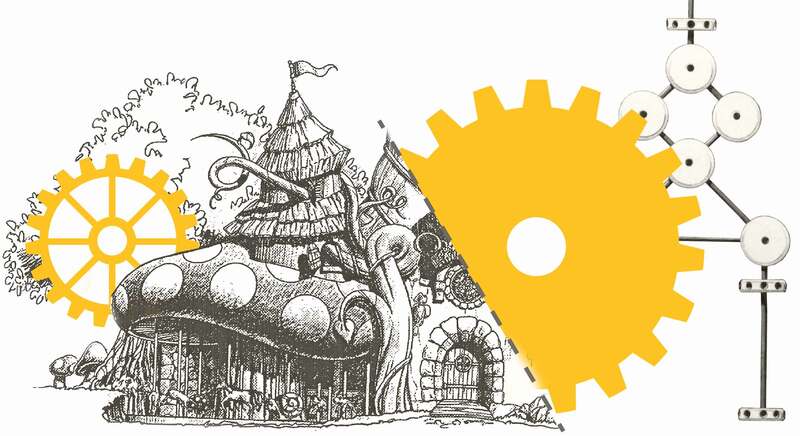 They also have plenty of land in their Orlando location, with a massive plot just waiting to be developed. So, White Castle? Fun Spot? Yes…I’ll take a sackful. You can catch the Cravemobile at Fun Spot Orlando on Thursday and Friday Feb 19th and 20th from 11a.m-11p.m. Saturday and Sunday the Cravemobile will be in Kissimmee from 11a.m. until 11p.m. as well. If you were hoping to get some tasty White Castle Sliders, you’re out of luck. The line has been cut off for the day at 11p.m. The waits extended up to 8 hours in Thursday. If Fun Spot doesn’t throw a bunch of money at White Castle to build a franchise on site, they are truly missing out on an obviously huge opportunity. Stay tuned for more from Fun Spot, and be sure to get social with us on Facebook, and follow along with us on Twitter @BehindThrills for the latest updates! For more on Fun Spot, visit the official website by clicking here! Video: Front Seat POV with Florida’s first inverting wooden roller coaster-Mine Blower!